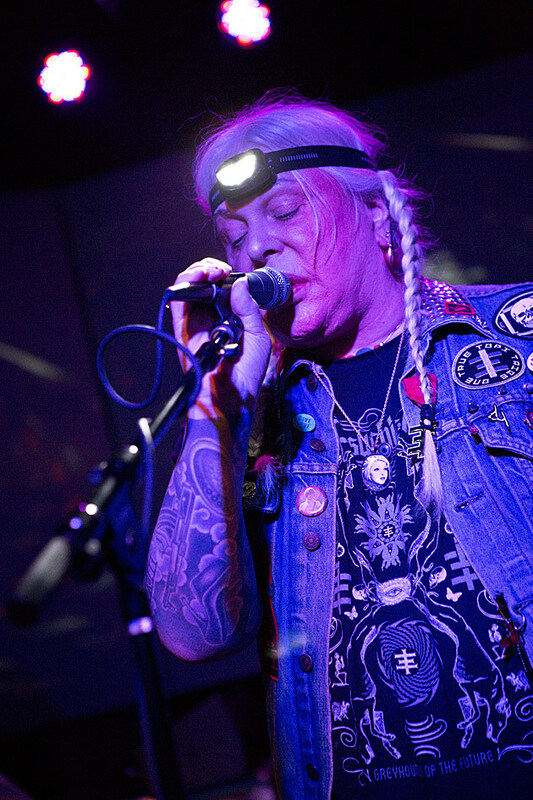 For a second year running, Genesis Breyer P-Orridge’s ever-changing Psychic TV comes to Brooklyn Night Bazaar for two shows, this being the first. House of Blondes, who played with them last year too, are on the bill again. Genesis is an icon, it’s free. NJ punk heroes The Bouncing Souls kick off their 3-night Home for the Holidays run in Asbury Park tonight. There’s different openers every night, and we can probably count on hearing Souls favorites from all over their 25 year career. There are also afterparties for the Bouncing Souls shows in Asbury Park, which all have great lineups too. This one has Bouncing Souls guitarist Pete Steinkopf’s other band Smalltalk and Philly post-punks Dark Blue (mems Clockcleaner, Paint It Black). While The Movielife recently announced they’ll be reuniting next year, singer Vinnie Caruana’s current band I Am The Avalanche is getting in this one last NYC show before that. And it’s a good lineup all around, with anthemic Long Island punks Iron Chic and The Gaslight Anthem’s pals The Scandals. Deer Tick are bringing the rock and the very drunk nights to Brooklyn Bowl for 6 nights in a row this holiday season leading up to New Year’s Eve. This is night 1 and it will feature them performing NRBQ’s Tiddlywinks and their own War Elephant in their entireties. Lower Dens singer Jana Hunter opens in solo mode. Only six nights of Glasslands left, and the first of two shows tonight features Real Estate guitarist Matt Mondanile’s solo band Ducktails, plus Underwater Peoples pals Julian Lynch and Family Portrait. …or head there late for the last-ever Friday night dance party at Glasslands. PMR-signed producer Cyril Hahn got some buzz early on for working with his labelmate Jessie Ware, but from the sounds of his new Voices EP, he’s ready to dominate dancefloors even without an association to Jessie. Queensbridge rap legends Mobb Deep had quite the busy 2014, but that didn’t stop Prodigy from also dropping his own album, Young Rollin Stonerz. It’s a collaboration with Boogz Boogetz, and they celebrate it tonight. The show also doubles as a release show for Sam Scarfo’s collaborative album with Ski Beatz, 5 Million Stories, which Prodigy features on. Darlene Love may never perform her classic Phil Spector collaboration “Christmas (Baby Please Come Home)” on television again, but she’s still performing the song and other Christmas favorites at her shows. Tonight’s the second of four BB King’s shows in her annual Christmas run at the venue. Sandra Bernhard is doing her show ‘Sandra Bernhard is #blessed’ which “spotlights her own unique, sharp blend of hysterical insight and outspoken views, with rock-n-roll, cabaret, stand-up and a little burlesque.” Two shows tonight, 7:30 PM and 9:30 PM.